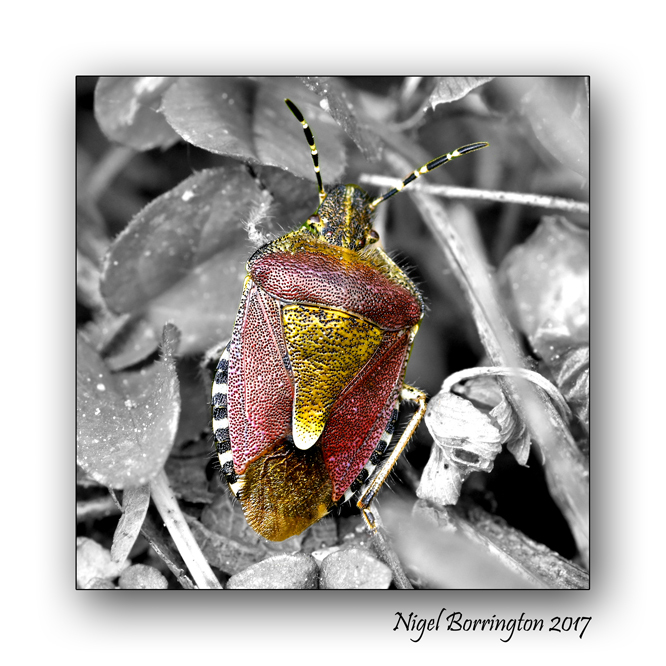 A large and distinctive purple-brown and greenish shieldbug which is covered with long hairs. The antennae and connexivum are banded black and white. During the winter, the ground colour becomes uniformly dull brown. 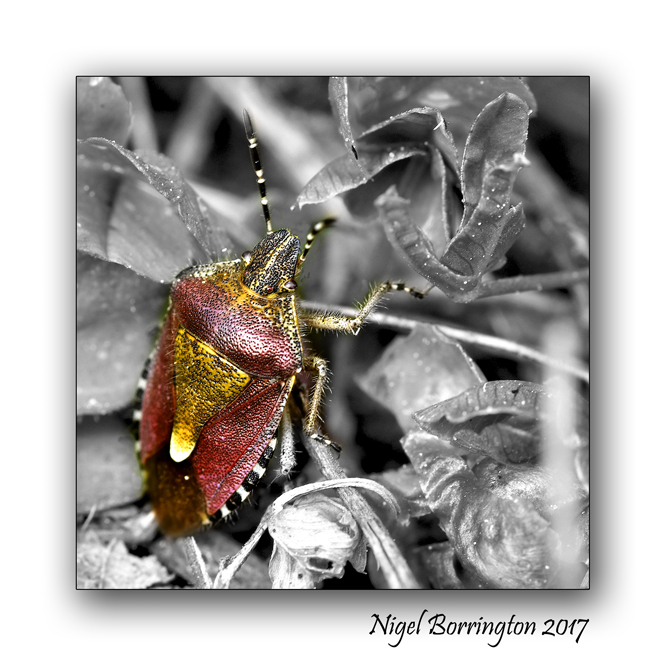 This bug overwinters as an adult, emerging in the spring. Larvae, which are also hairy, may be found on numerous plants, particularly those in the Roasaceae. The new generation is complete from August onwards. Common and widepsread in many habitats throughout Britain, particularly hedgerows and woodland edges, becoming scarcer and mainly coastal in the north.